It has been 45 years since Santos Rodriguez, a 12-year old Mexican-American boy, was handcuffed, and fatally shot, by a white Dallas police officer, for a crime he did not commit. 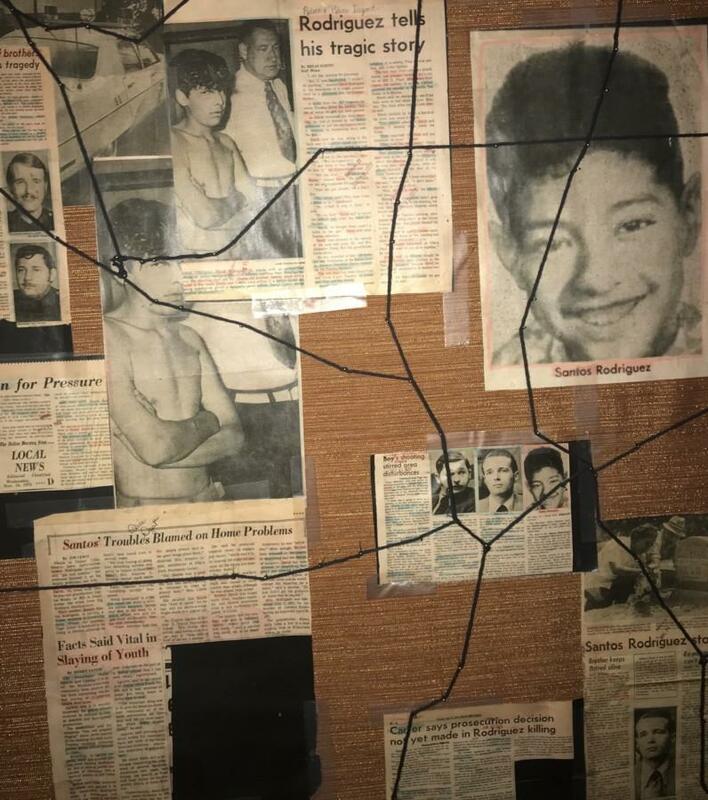 On July 24, 1973, between two and three a.m., Santos and his older brother David Rodriguez were forcibly taken from their grandfather’s home, who did not speak English, for questioning about the theft of a local gas station soda machine. After denying that he had anything to do with the crime, Officer Darrell L. Cain held a .357 Magnum to Santos’ temple and pulled the trigger. David, only 13 at the time, witnessed the fatal event as he sat in his brother’s blood. Now, at 58, David has yet to recover from the psychological and emotional trauma he underwent that night. Sentenced to five years for murder with malice, Cain was released after half of his term was served. The Santos Vive Project, created by HUMAN RIGHTS DALLAS, is close to meeting its three goals in light of the 45 year anniversary. The first goal was to produce a documentary about the Santos Rodriguez story to air on television and in select Dallas theaters in 2018. 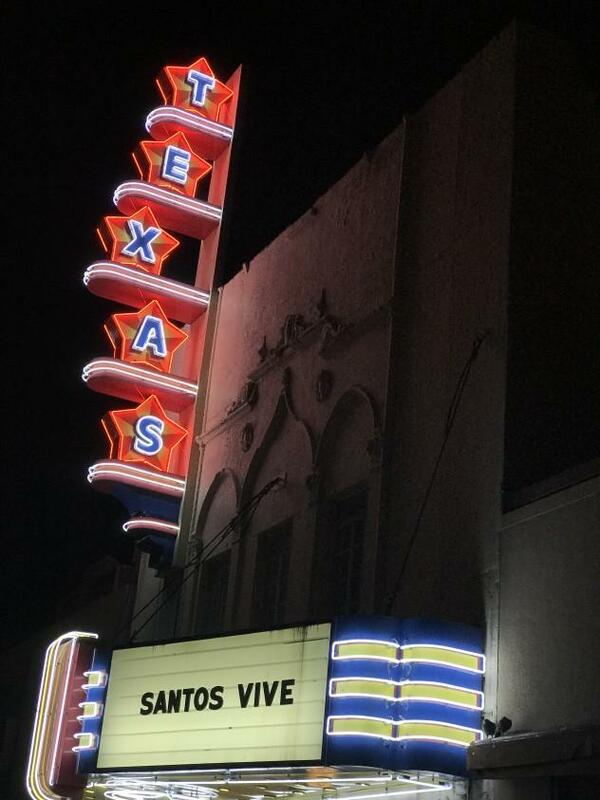 The premier of the Santos Vive documentary on the night of the 45th anniversary at the Texas Theater in Oak Cliff. The significance of these three phrases dates back to Dallas Latino history and landmarks that copiously shaped and have left a cultural imprint on the Dallas we live in today. The second goal of the project is to create a memorial to honor the death of Santos Rodriguez to be located in Dallas, Texas. On the night of Santos’ murder, his mother, Bessie Rodriguez, who was serving a five-year prison sentence lost both of her sons in one night. Santos was killed and his brother David never recovered from witnessing his death. 40 years later, Dallas Mayor Mike Rawlings, issued a public apology to Bessie on behalf of the city. 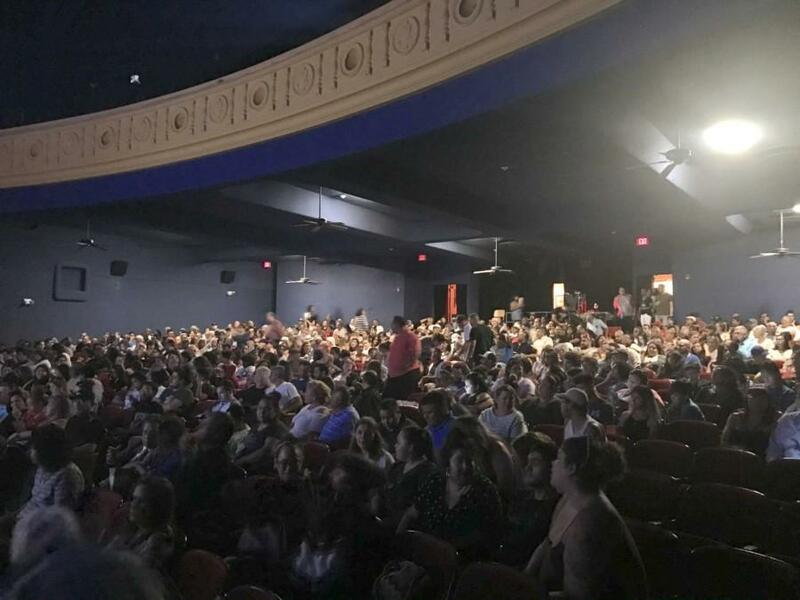 A packed crowd at Texas Theater waiting for the start of the documentary. At the end of the documentary, a group of leaders from the Santos Vive project announced that District 2 city councilmen Adam Medrano has allocated $74,185 to the Dallas Park Board in efforts to create a memorial for Santos. According to an update from the Dallas Morning News, Pike Park remains a potential location for the memorial, which would feature an art display with his name, but there are no plans to erect a plaque or sign thus far. The Dallas Park Board will work closely with the Office of Cultural Affairs to find an artist. The project is open to local, national, or international artists and will be selected by an artist panel in addition to community input. There will also be an event held at Dallas City Hall on August 2, 2018 at 9 a.m. to express support for the name change of Pike Park to the Santos Rodriguez Recreation Center. In terms of a non-physical memorialization of Santos, the Latino Center for Leadership Development pledged $100,000 in partnership with the SMU Embrey Human Rights programback in 2015 to create the Santos Rodriguez Memorial Scholarship in his honor for emerging human rights leaders at SMU. The endowment, now fully funded, provides $10,000 in annual support of students majoring in human rights. 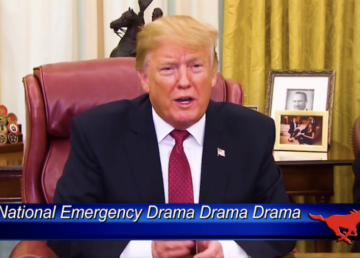 Additionally, director of the Embrey Human Rights program, Dr. Rick Halperin, not only featured in the documentary, but was also a co-producer. The final goal of the project isto establish a fund to provide financial assistance to cover basic needs for the family of Santos Rodriguez, including his mother, Bessie, and his brother, David. All donations to the Santos Vive project are welcomed and appreciated.